Oak and sweet notes in the nose, fruits and rancio, a good and balanced finish. Old golden brown color. Nose of vanilla and woody tones, evolving towards and elegant rancio with lovely notes of dried fruit. The palate is soft, with tones of liquorice and rancio, with a beautifully long finish. 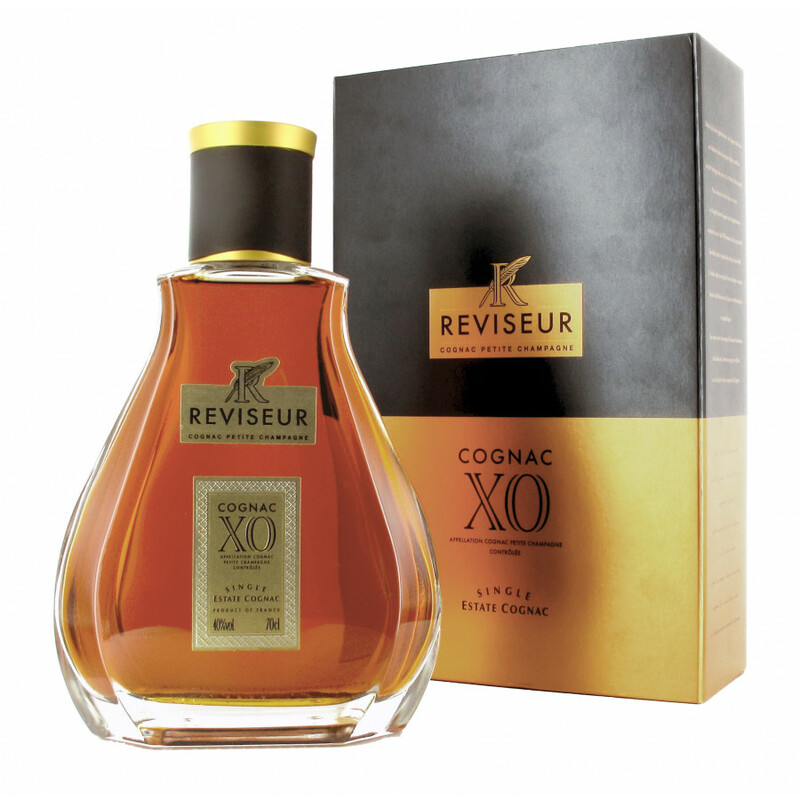 Le Réviseur XO Single Estate Cognac is a firm favorite in Northern European countries as well as Scandinavia. Less well known in the US, this really is a great cognac to try if you're not familiar with the range. As with all of Le Reviseur's cognacs, this is produced from a single estate and is a pure Petite Champagne blend. It has all the qualities that you'd expect from a Fine Champagne cognac - and this XO quality is certainly one that will please those who enjoy older cognacs. A beautiful dark color, it exudes rancio and leaves a long, lingering finish that you must allow the time to enjoy. Once tried it's almost guaranteed that you'll be hooked - this one's a keeper.